The Ministry of Defence is reportedly paying out six-figure sums for postgraduate research into the culture of computer hackers and music fans – as well as the impact of social media in times of crisis. The MoD's Defence Science and Technology Laboratory (DSTL) spends hundreds of thousands supporting PhD students who are researching into the world of cyberspace. The PhD programmes, which have awarded over £9.5 million ($15.6 million, AU$ 17.5 million) worth of contracts over the last five years, have paid £97,486 towards research into "the rise of digital insurgency" at Kings College London. 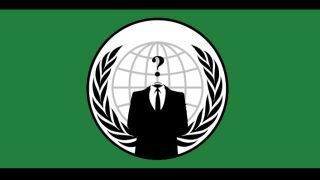 The doctorate looks into the "hacktivist" group Anonymous in an attempt to understand its grievances, goals and the attraction it has to new members. Mark Levine, a professor of social psychology who is supervising the project, said: "The (MoD) are interested in influences which might promote what, from their point of view, might be anti-social stuff that they might want to stop, but they are also interested in the kinds of things which they can do to promote situations where groups themselves prevent things they are worried about online." Other projects being funded include two PhDs programme at Queen Mary, University of London, one of which is based on how technology can be used to wield influence, which received £137,433. The DSTL funds research into what they describe as "battle-winning technologies" and havebacked the creation of underwater drones and the development of clothing with fully embedded electronics. On their website they say: "We also work in niche areas which are sensitive, operationally critical or international in nature and must therefore be done within government. The MoD added that cybersecurity is an issue of "growing importance" and socially engineered attacks are a "growing threat" which needed to be understood and exploited so that they can be defended against.